This is an awesome book, we should definitely buy it. Get to grips with the unified, highly scalable distributed storage system and learn how to design and implement it. Key Features Explore Ceph's architecture in detail Implement a Ceph cluster successfully and gain deep insights into its best practices Leverage the advanced features of Ceph, including erasure coding, tiering, and BlueStore Book DescriptionThis Learning Path takes you through the basics of Ceph all the way to gaining in-depth understanding of its advanced features. You'll gather skills to plan, deploy, and manage your Ceph cluster. After an introduction to the Ceph architecture and its core projects, you'll be able to set up a Ceph cluster and learn how to monitor its health, improve its performance, and troubleshoot any issues. 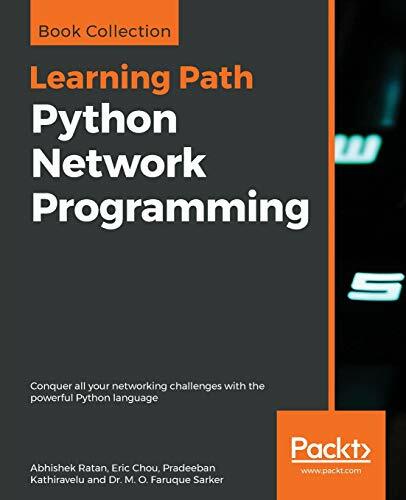 By following the step-by-step approach of this Learning Path, you'll learn how Ceph integrates with OpenStack, Glance, Manila, Swift, and Cinder. With knowledge of federated architecture and CephFS, you'll use Calamari and VSM to monitor the Ceph environment. In the upcoming chapters, you'll study the key areas of Ceph, including BlueStore, erasure coding, and cache tiering. More specifically, you'll discover what they can do for your storage system. 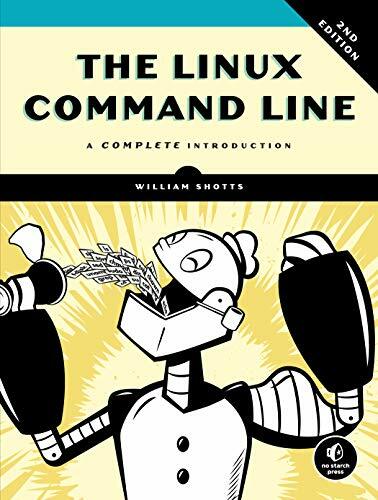 In the concluding chapters, you will develop applications that use Librados and distributed computations with shared object classes, and see how Ceph and its supporting infrastructure can be optimized. By the end of this Learning Path, you'll have the practical knowledge of operating Ceph in a production environment. 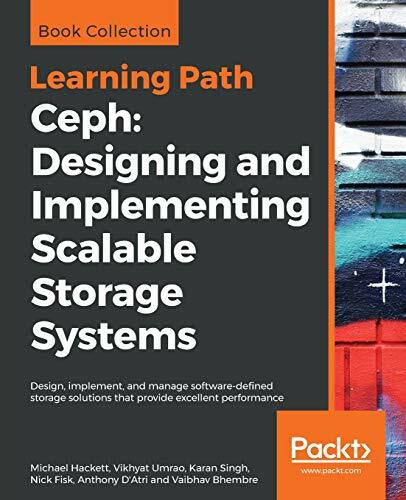 This Learning Path includes content from the following Packt products: Ceph Cookbook by Michael Hackett, Vikhyat Umrao and Karan Singh Mastering Ceph by Nick Fisk Learning Ceph, Second Edition by Anthony D'Atri, Vaibhav Bhembre and Karan Singh What you will learn Understand the benefits of using Ceph as a storage solution Combine Ceph with OpenStack, Cinder, Glance, and Nova components Set up a test cluster with Ansible and virtual machine with VirtualBox Develop solutions with Librados and shared object classes Configure BlueStore and see its interaction with other configurations Tune, monitor, and recover storage systems effectively Build an erasure-coded pool by selecting intelligent parameters Who this book is forIf you are a developer, system administrator, storage professional, or cloud engineer who wants to understand how to deploy a Ceph cluster, this Learning Path is ideal for you. It will help you discover ways in which Ceph features can solve your data storage problems. Basic knowledge of storage systems and GNU/Linux will be beneficial. This book has been written by Michael Hackett, who has written books like Ceph: Designing and Implementing Scalable Storage Systems: Design, implement, and manage software-defined storage solutions that provide excellent performance. The books are written in Networks & System Administration category. 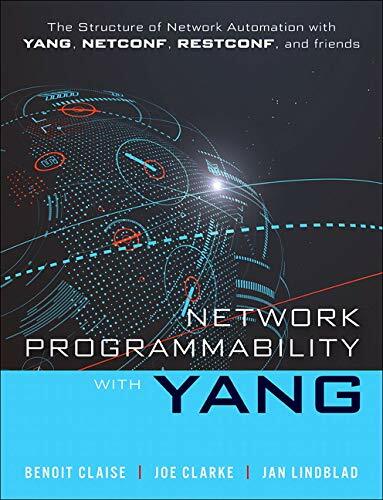 This book is read by people who are interested in reading books in category : Networks & System Administration. So, if you want to explore books similar to This book, you must read and buy this book. Depending on your reading style, this is how much time you would take to complete reading this book. So if you are a Reader belonging in the Good category, and you read it daily for 1 hour, it will take you 40 days. Note: A slow reader usually reads 100 words per minute, an average reader 200 words per minute, an average reader 300 words per minute and an excellent leader reads about 600-1000 words per minute, however the comprehension may vary. Would you like to unsubscribe from Push Notification! Would you like to receive notifications for buying products at best prices.